We are back from our vacations in France and Germany. We had such a great time, I will have many pictures to scrapbook! In the meantime, here is a layout about my boyfriend, when we did snorkeling in Thailand. Such great memories, it was amazing. I used Memory Box' Family of fish die. What a wonderful layout! 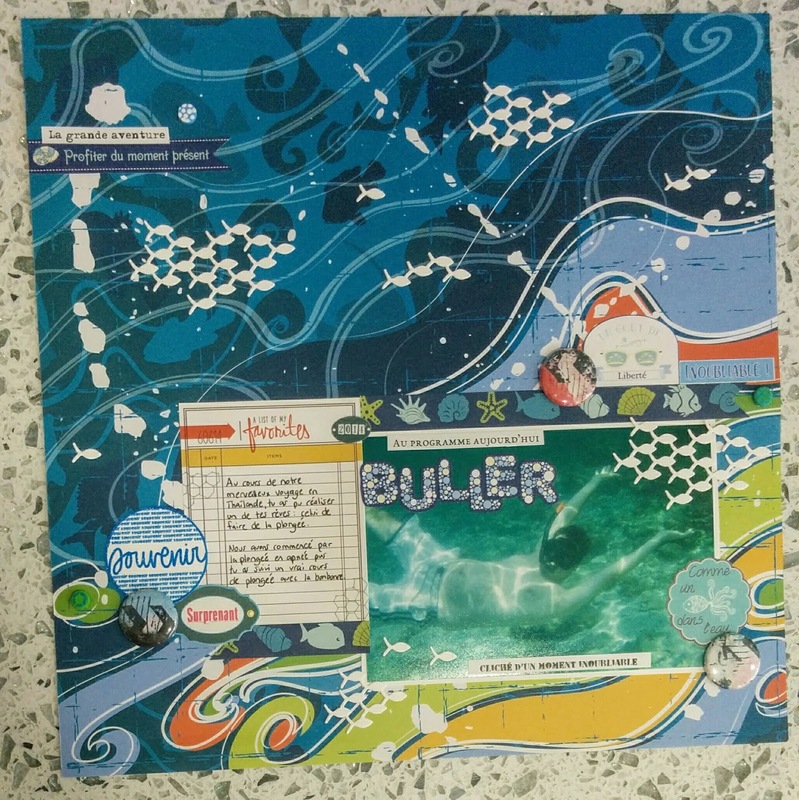 I absolutely love the patterned paper you chose and how it reflects the look of water. The waves and swirls give this page an amazing sense of movement and energy and beauty. You really have conveyed that snorkeling feeling through the materials and elements you used and it could not have come out more perfectly! This was a joy to see and I'm so glad you shared it with us for this week's Simon Says Stamp Monday Challenge! wow thank you so much for this wonderful comment!! !